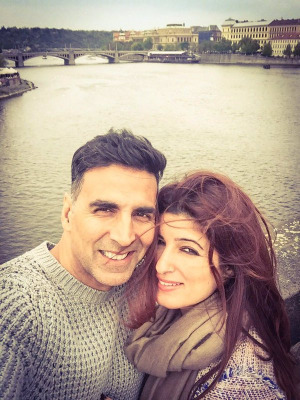 Akshay Kumar and Twinkle Khanna are one of the most lovey-dovey couples in the Bollywood. The superstar very well knows how to strike a perfect work-life balance. They take off some time from their busy schedule every now and then to spend it together and strengthen their bond. One such time was recently when the action king took his wife Twinkle Khanna on a vacation to make memories. Akshay Kumar is seen promoting Naam Shabana these days a movie that is claimed to be the blockbuster of the year 2016. He will also appear on the screen of Houseful 3 and Rajnikanth 2.0.